His main area of practice is in corporate law, intellectual property, data privacy, real estate and administrative law. Mr. Cáceres assists clients with local and federal data privacy and cybersecurity matters concerning consumer private information as well as with local and federal trademark and copyright registration requirements. Since joining the Firm, he has worked on a number of corporate matters including the incorporation, management, dissolution, and merger of corporate entities in the hospitality, foodservice and healthcare technology industries. In addition, he has worked on regulatory, real estate, transactional and contractual issues related to business operations in Puerto Rico for data management, consulting and other professional services providers. Most recently, Mr. Cáceres worked on licensing and permitting matters for various industries including food and beverage distribution, tourism related transportation services, and out-of-state real estate offerings. 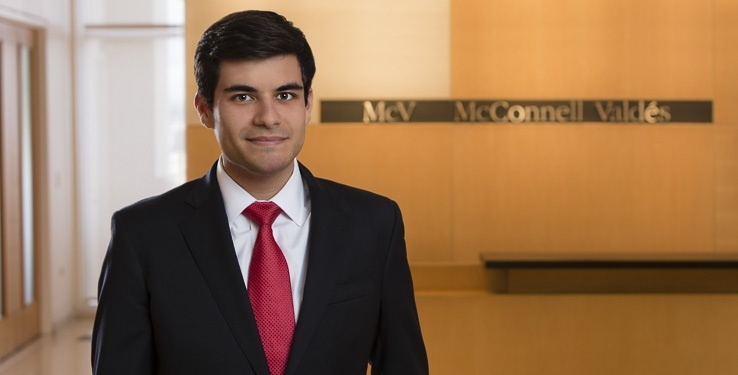 Prior to joining the Firm, Mr. Cáceres worked as a Student Associate in Washington, DC where he assisted with compliance matters related to the United States Department of Treasury’s Office of Foreign Assets Control (OFAC) economic sanctions regime and the United States Department of Commerce’s Bureau of Industry & Security (BIS) trade regulations. He also assisted with OFAC special licensing matters. While in law school, he participated as a student attorney in the Janet R. Spragens Federal Tax Clinic at American University’s Washington College of Law. During his time at the Tax Clinic he assisted low income taxpayers with federal tax issues.